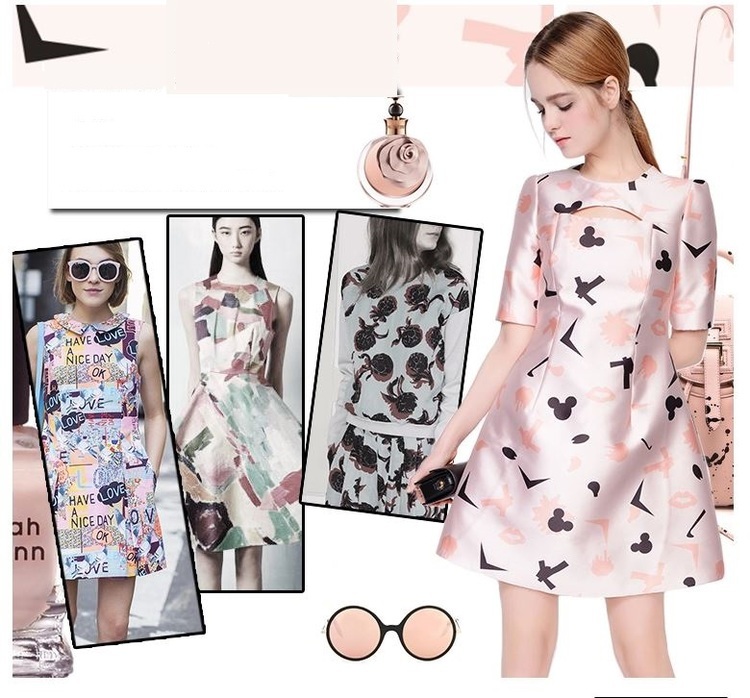 Printed fashion has been an on going trend. Prints from clouds to stars and splashes has found their way into our fashion hearts. So in that spirit why not add a little fun print for the child at heart. The mickey, boomerang and kiss/lip print on this dress is so subtle it is intelligent for even the serious woman. There for GGR girls. Have some fun.